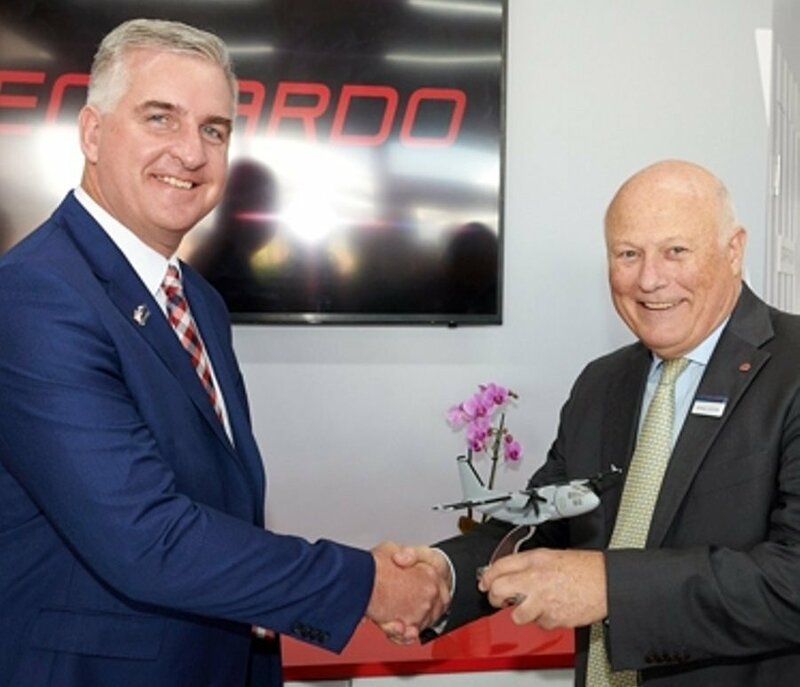 MELBOURNE, Australia (BulgarianMilitary.com) – On 27th February 2019 Leonardo announced that the company has signed a Memorandum of Understanding with Northrop Grumman Australia for partnering on C-27J through life support services in New Zealand, learned BulgarianMilitary.com. Leonardo is the manufacturer of the C-27J Spartan tactical airlifter, and Northrop Grumman Australia Pty Limited – a leading provider of regional aircraft and electronic component sustainment services. Under the MoU the companies will bid together the incoming Future Air Mobility Capability (FAMC) Program of the Royal New Zealand Air Force (RNZAF). They will use their existing relationship to offer the C-27J to New Zealand as a replacement of its aging fleet of C-130Hs. “With this partnership we want to make Australia our hub for the C-27J in the region to provide New Zealand with true excellence not only in terms of product, but also in terms of services, to ensure decades of efficient transport and relief operations. The successful experience of the RAAF fleet is a testament to our commitment and we are convinced that New Zealand would receive significant advantages by becoming the next Spartan Customer,” commented Maurizio De Mitri, Marketing and Sales Director at Leonardo Aircraft. The idea is Leonardo, together with Northrop Grumman Australia, to bring a whole-of-life sustainment approach to the C-27J, and a plan for future modernisation and upgrades so that the RNZAF to be able to seamlessly perform the widest range of airlift missions, along with humanitarian aid & disaster relief, search & rescue and VIP transport, in the harshest environmental scenarios. The Leonardo C-27J Spartan offers unique qualities, such as ruggedness, reliability, outstanding survivability and manoeuvrability. The aircraft can perform autonomous operations from remote areas and is qualified to perform short take-offs and landings on any type of unprepared airstrips like snow, sand, gravel and grass. The C-27J is currently operated by various military services all over the world, including the U.S. Army, U.S. Coast Guard, Italian Air Force, the Royal Australian Air Force and the Bulgarian Air Force. The Northrop Grumman Australia team of more than 50 personnel is based at RAAF Base Richmond. It provides logistics, engineering, modernisation and upgrade capabilities for the C-27J platform.